in positive and effective ways. career goals while fostering healthy relationships and social emotional growth. what to expect in high school. a shadow day at BMHS. lunch or be picked up during this time). Eagle County Schools is committed to providing age and grade appropriate counseling services at all of our schools. In addition to general school day programs and services, our counselors are available to both students and parents by appointment. Learn more about Battle Mountain High School counseling services and school resources by exploring the icons below. Class Selection/Registration takes place in the spring before the upcoming school year. Courses that are listed may not be offered depending on the interest generated from students or staffing changes. Students may be referred and placed in specialized classes (basic or advanced) based on standardized test scores (PARCC or ACT),grades and teacher recommendations. Therefore, it is very important that students are informed and decisive when they make their course selections due to the fact the BMHS schedule is built from their requests. Proper course selection is based on knowledge of graduation requirements, good planning, and familiarity with the requirements of courses including prerequisites. Changes to course selections need to be made with teacher, counselor/principal permission within the first 5 days of each semester. Very few changes will be approved. Courses are offered in units of credit. A course that meets for one semester earns .5 units of credit. Except with special permission, courses indicated as one credit (1.0) are to be taken for the 2 semesters and not dropped after the first semester. Students in grades 9, 10 need to be enrolled in 7 classes each semester. Students must attend both semesters or be approved for early graduation. The Colorado legislature allows juniors and seniors to attend approved post-secondary educational institutions to earn high school and/or college credit. Eagle County School District has entered into an agreement with Colorado Mountain College to provide the opportunity for students to earn high school and college credit simultaneously.  Students interested in English, Science or Social Studies Dual Enrollment classes are eligible by scoring 80+ on the Reading Accuplacer test, 17+ on the Reading ACT, or 430+ on the Verbal SAT.  Students interested in Mathematics Dual Enrollment classes need to be eligible with Math Accuplacer scores of Elementary Algebra 85+, a score 23+ on the Math ACT, or 460+ on the Math SAT.  English Composition 121 requires an Accuplacer English score of 95+ AND Reading score of 80+, OR ACT Reading score of 17 and an ACT English score of 18, OR SAT verbal score of 440+.  The ACCUPLACER test is administered at BMHS prior to registration and at CMC throughout the year. Prior to the end of the school year, Accuplacer scores must be submitted to your counselor to be guaranteed a spot in a DE class. Students may also take the ACT or the SAT and submit qualifying scores to the guidance office. Dual Enrollment coursework is eligible for credit if the courses are required to graduate from high school and the student has completed a CMC “Intent to Enroll Form”. To be completed by the parent or legal guardian of a student who has never attended any school within Eagle County Schools. Any time of the year, even during the summer. Step 1: From this Registration page Click the “New Student to ECS” button above and complete the online registration form. Step 2: Contact your student’s Community School and schedule an appointment with their registrar to present birth certificate and other documentation. The registrar will tell you which documents to bring. Step 3: Visit your student’s Community School at your scheduled appointment time and bring your documents with you to this appointment. After you complete the online registration, you will need to contact your student’s Community School to complete the enrollment process. If it is during the summer months that you have completed the registration, please contact the Online Registration line at 970.328.4747. 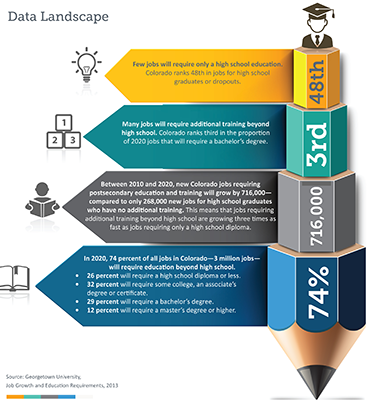 Eagle County Schools utilizes "Naviance" a comprehensive K-12 college and career readiness solution that helps districts and schools align student strengths and interests to postsecondary goals, improving student outcomes and connecting learning to life. Current Seniors - Transcript Request - Instructions on requesting a transcript for college apps. School counselors are one of the best sources of support for students who plan to go to college. They can provide guidance and support throughout the entire process. If you are lucky enough to have access to a counselor in your school, it is in your best interest to visit that person on a regular basis. Plan classes that will prepare you for college admission and success. Review your academic record and suggest areas that need improvement. If you need to do some catching up, your counselor can help. Begin the admission process by identifying the questions you should be asking—and finding honest answers. Clarify and understand terms that you will encounter during your college search and selection process. Identify special opportunities that may maximize your chances of being a well-prepared and appealing candidate to colleges. Register for college admission tests, like the SAT and ACT. Secure applications, identify deadlines, and prioritize the tasks you need to complete as you apply for college. Apply for fee waivers when signing up for tests or submitting applications. Explore options to pay for college. Provide a letter of recommendation to colleges or universities. Compare offers of admission and financial aid. Make appointments early and show up on time. Submit any forms that require counselor completion well in advance of due dates. Carefully follow any procedures that have been established by your school for securing transcripts and turning in applications and related forms. Whenever possible, make copies of everything you give to your counselor. Sometimes, with so much paper, things get lost. Make sure you keep your counselor in the loop when colleges inform you of their admission decisions. If there are any problems which arise, your counselor can advocate on your behalf. Whenever you have questions don’t hesitate to return to your counselor for advice, especially if you feel you are being asked by a college to do something that just doesn’t seem right. Your counselor will know the rules governing college admission. If you think it would be helpful, try to schedule a meeting with your counselor and your family. There are parts of the college application process that will require their assistance. This is particularly true when it comes time to complete financial aid applications. Finally, when all is said and done, and you have made it successfully through the college selection and admission process, make sure you take time to thank your counselor. Your expression of gratitude will build a reservoir of goodwill should you need to return for further assistance at any time in the future. CollegeWeekLive enables students to live chat with admissions representatives and students from hundreds of U.S. universities and to watch presentations from education experts on topics such as mastering the SATs/ACTs, writing a standout college essay, choosing a college, and more. Search over 2,000 colleges to find the schools that match your preferences and get all the details on admission, financial aid, academics and campus life in our college profiles. The PSAT measures critical reading, quantitative (math), and writing ability, and offers practice for the SAT. You’ll have 60 minutes to answer 47 reading questions, 35 minutes to answer 44 writing questions/tasks and 70 minutes on 48 math questions. Like the new SAT, you will not penalized for wrong answers — or for guessing, essentially. This is not used to determine college admission but is intended to help students prepare for the SAT. All college bound juniors SHOULD take this exam in October and the fee can be paid for at the beginning of the school year. If you wish to be considered for the National Merit Scholarship and recognition, you must take the PSAT during your junior year. The SAT tests reading, vocabulary, grammar and usage, writing (including an essay) and math (Arithmetic, Geometry, Algebra 1 and 2). The ACT tests reading, grammar and usage, science reasoning, and math (Arithmetic, Geometry, Algebra 1 and 2, and limited Trigonometry). It also has an optional writing section. All ACCUPLACER tests use a multiple-choice format. * There’s no time limit on the tests, so you can focus on doing your best to demonstrate your skills. ACCUPLACER uses the latest computer-adaptive technology and the questions you see are based on your skill level. Your response to each question drives the difficulty level of the next question so it’s important to give each question as much thought as you can before selecting your answer. The number of questions varies depending on which ACCUPLACER tests you take. There could be as few as 12 questions or as many as 40. No one passes or fails ACCUPLACER tests, but it’s important to complete the test using your best effort, so you and your college have an accurate measure of your academic skills. Participants in the course will be divided into four sections. Two sections will be math focused and two sections will be reading/writing focused and each will have their own content trained facilitator. The first two math sections will meet and focus on math related SAT preparation for the first semester and the reading/writing sessions will focus those for the first semester. After the semester the sections will flip and focus on the opposite content, this should allow students to have ample training in both math and reading/writing, in small, more personalized environments. In preparation for the April​ ​10th​ ​SAT​ ​exam​, Battle Mountain High School has arranged, through Club Z! Tutoring, to offer an​ ​SAT​ ​test​ ​preparation​ ​course​ ​this​ ​spring.​ ​Students taking the ACT are welcome to attend. Over the past 9 years, we’ve worked with hundreds of local students. On average, our students see a 250+ point increase on the SAT. We have a 95% success rate raising scores. 1. Take​ ​our​ ​4-hour​ ​SAT​ ​“boot​ ​camp”​ ​course​ ​-​ ​$55. Offered on Saturday, January 20th OR Sunday, January 21st from 10 am - 2 pm. 2. Schedule​ ​a​ ​free,​ ​in-home​ ​consultation​. We’ll discuss the results of your child’s mock exam, goals for college, and which 1-1 or self-paced test prep path is the best fit. We offer a variety of test prep options that fit any budget. There is no obligation to buy. 3. Ready​ ​to​ ​start​ ​a​ ​1-1​ ​program​ ​now?​ Give us a call! ● Timed practice in each subject area. ● General test-taking strategies, time-management techniques, and content information. ● Students will leave the course with access to a free, online practice test, where they can view video solutions to every question on the test. LOCATION INFO: Battle Mountain High School, Edwards, CO.
If​ ​you​ ​are​ ​interested​ ​in​ ​enrolling,​ ​please​ ​fill​ ​out​ ​the​ ​attached​ ​form​ ​and​ ​return​ ​to​ ​Club​ ​Z!​ ​NO​ ​LATER THAN​ ​January​ ​8th,​ ​2018.​ ​You​ ​may​ ​pay​ ​by​ ​check​ ​or​ ​by​ ​credit​ ​card.​ ​Please​ ​mail​ ​or​ ​email​ ​your​ ​completed enrollment​ ​form​ ​to​ ​PO​ ​Box​ ​1872​ ​Eagle,​ ​CO​ ​81631​ ​or​ ​ccammarata@clubztutoring.com.​ ​If​ ​you​ ​have​ ​any questions,​ ​please​ ​call​ ​Club​ ​Z!​ ​Tutoring​ ​at​ ​970.668.0515.​ ​Once​ ​we​ ​receive​ ​your​ ​completed​ ​form,​ ​we​ ​will contact​ ​you​ ​to​ ​confirm​ ​enrollment. In addition, many states and colleges use your FAFSA data to determine your eligibility for state and school aid, and some private financial aid providers may use your FAFSA information to determine whether you qualify for their aid. You must complete the FAFSA each year in October using parent's prior year's income tax information. Each year, Battle Mountain graduates receive significant scholarships to help with the investment of college. We list scholarships that we learn about in the Counseling Office in Naviance/Family Connection under "Colleges">"Scholarship List". Let your counselor help you if you have questions with any applications. http://www.youthfoundation.dollarsforscholars.org/index.php?section=chapterWebsite&action=student_parent&fwID=2257 (Database for local scholarships through YouthPower 360 and national scholarships through FastWeb. Since MALDEF's founding, the civil rights organization has supported the next generation of civil rights advocates for the Latino community. MALDEF currently offers: a Scholarship Resource Guide for high school, college, and graduate students; and a Law School Scholarship Program for law students. The financial aid office of the college you are interested in will also provide you with information. Remember, they want to help you find the resources to attend! WICHE members include: Alaska, Arizona, California, Colorado, Hawaii, Idaho, Montana, Nevada, New Mexico, North Dakota, Oregon, South Dakota, Utah, Washington, Wyoming, and the Commonwealth of the Northern Mariana Islands. BMHS School Counselors provide services to students, parents, school staff and the community based on the ASCA (American School Counseling Association) National Model. The ASCA National Model includes the foundation, delivery, management and accountability. As part of the delivery, our school counselors are in the classroom offering structured lessons designed to help students attain the desired competencies and to provide all students with the knowledge, attitudes and skills appropriate for their developmental level. The school counseling core curriculum is systematically presented by school counselors in collaboration with other professional educators in K-12 classroom and group activities.